When I think of carrot cake, I automatically think of the American version with walnuts and raisins and topped with cream cheese frosting. 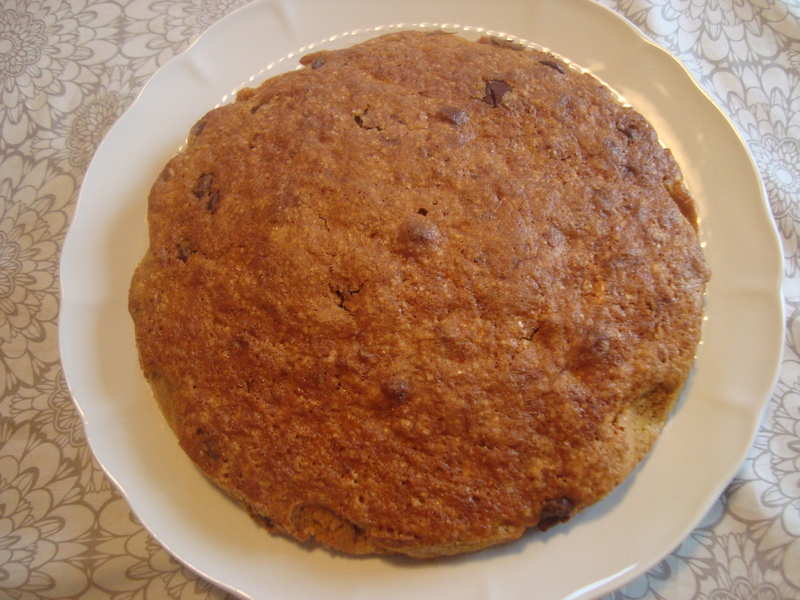 This is a lighter, more refined version with the optional addition of chunks of almonds and chocolate. 2. Mix the flour, baking powder, and brown sugar in a medium-sized bowl. Add the eggs and a pinch of salt and beat in lightly. Then add the oil and cinnamon and mix well. 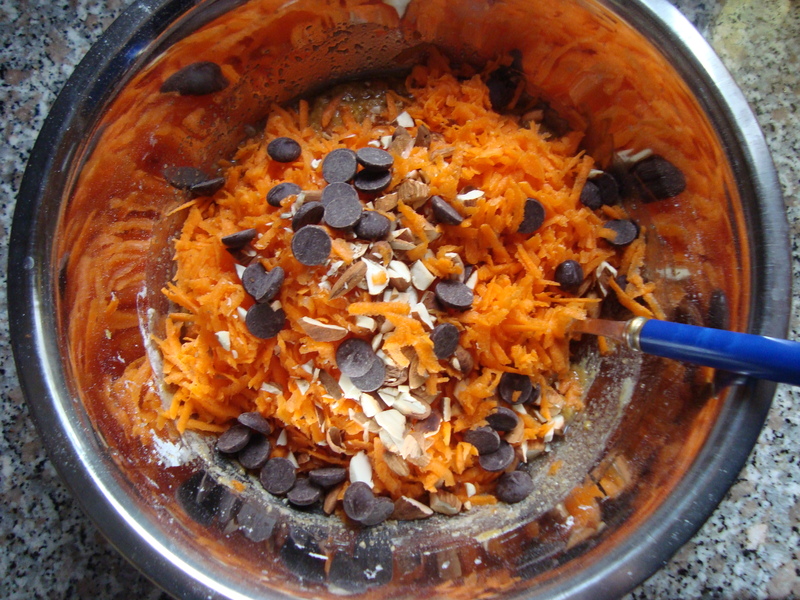 Stir in the carrots and, if using, the chopped almonds and chocolate chunks. Line a cake pan with parchment paper and pour in the mixture. 3. Bake in the preheated oven for 40-45 minutes, until a toothpick inserted into the center of the cake comes out clean. Let cool before serving.